Honor announced today that it has sold 1.5 million View 20 units a few months since its global launch in January. Although the Chinese company marks it as a great achievement, Honor isn't among the big players in the smartphone industry yet. Still, Honor's officials believe that its products, supported by a successful marketing strategy, will be able to bring the company among the five biggest smartphone vendors in the world in the next three years. The first step towards that goal is delivering powerful products that consumers love to use in their everyday lives. The View 20 is Honor's most recent flagship smartphone and even though it sold 1.5 million units to date, the Chinese company wants to convince even more customers to buy its product. Earlier today, Honor announced an important update for the View 20, which further enhances the phone's gaming capabilities. Dubbed Gaming+, the update promises to improve the phone's Kirin 980 processor's efficiency by about 20%. Also, the new AI technology included in the update should improve the load prediction accuracy of each frame by more than 30% compared to traditional methods. Moreover, the upgrade will bring high definition capability to gaming, achieving better contrast, higher brightness levels, and wider color palette. And thanks to GPU (graphics processing unit) optimization, View 20 users will benefit from enhanced image quality and reduced power consumption. 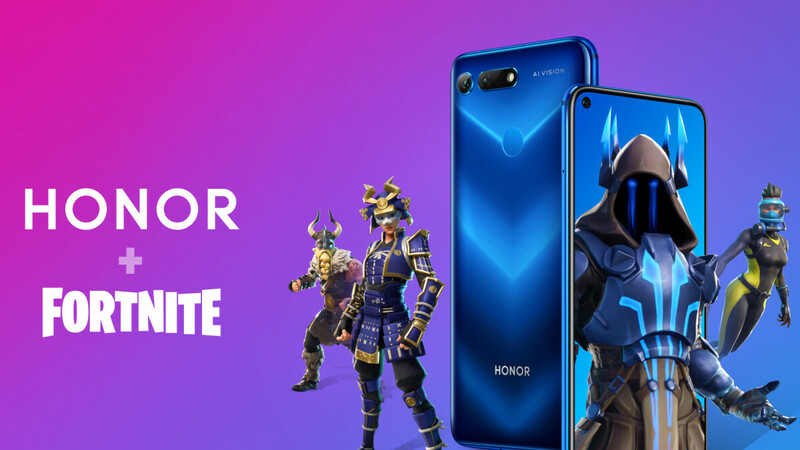 Aside from the big Gaming+ update, Honor also announced a partnership with Fortnite developer Epic Games. As part of the collaboration, owners of the Honor View 20 will have exclusive access tot he Fortnite Honor Guard outfit. The exclusive outfit can be redeemed on Honor's website starting from February 25.